Seeing "South of the Border" billboards along 1-95 throughout South Carolina last week (see 2 previous posts) not only amused me but got me to thinking about what Canada might have to offer along the side of our major thoroughfares. 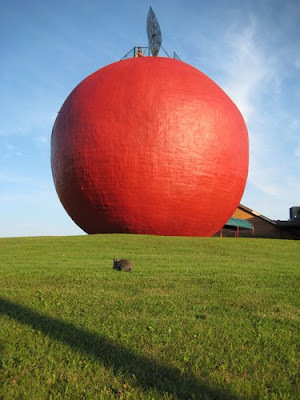 I was certainly aware of The Big Apple near Cobourg, Ontario because I drive by it on the 401 every time I travel to and from Toronto. 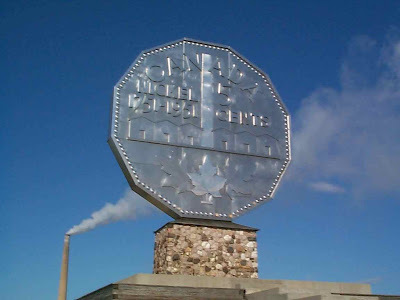 And I was well aware of The Big Nickel in Sudbury, Ontario because I was born in the city where INCO conducted massive mining operations. 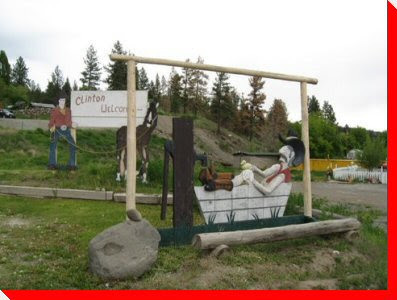 For example, Clinton, British Colmbia offers the Cowboy in a Bathtub Monument. Who knew! 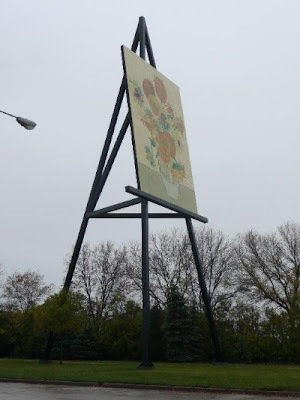 And, in Altona, Manitoba there's the world's largest easel. Picture perfect! 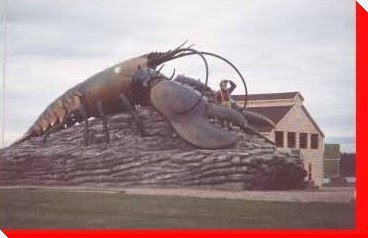 Shediac, New Brunswick famous for lobster, of course has a giant lobster. Don't think it's edible. 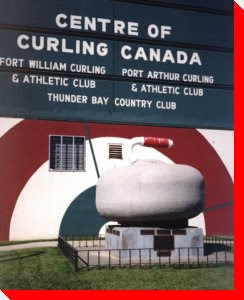 And in Thunder Bay, Ontario there's a giant curling stone. Get yer rocks off! And there's an out of this world monument in Vulcan, Alberta - a huge USS Enterprise from Star Trek. Which is quite appropriate. After seeing many of these monuments all I can think of to say is, "Beam them up Scotty"! 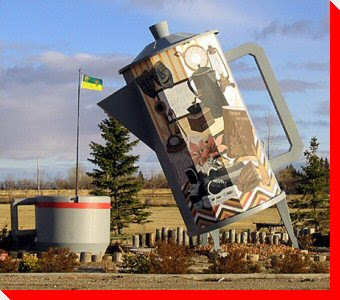 For a comprehensive map of Canadian roadside attractions (as if we really need such a thing), click here and enjoy! Please don't tell me Vulcan Albert was named after Star Trek!?!?! Love the photos, became rather "distracted" and almost forgot to drop! Wow, these photos are great. Did you ever think of maybe doing a coffee table book? Well, at least it's an excuse to travel more. Interesting stuff. 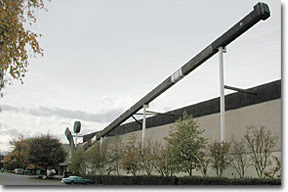 But, tell me, how big was the Star Ship "Enterprise?" Nothing in the photo to judge it by. I love things like this. Now I have to go to Canada. Ann: In Vulcan, they live long and prosper. And they're trying to get the makers of Star Trek XI to premiere their film there. One small problem. They don't have a movie theatre. Me-Me: "These are the voyages of the Starship Dufus..." yeah, works for me! ettarose: If you decide to boldly go where no ettarose has gone before, we'd welcome you with open arms. I knew about most of these things, but the star trek ship, really? There's also a giant muskoka chair in gravenhearst. For all you americans, a muskoka chair is what you call an adirondack chair. FTU: Really! It's only logical. Muskoka chair in the Muskokas, I guess. Yeah, there's some weird ones out there.